In the spring semester of 2014, four faculty teaching in a Clapp Library seminar room began testing wireless projection from iPads and Mac laptops. They used their own Apple devices or ones loaned to them by LTS for the semester. 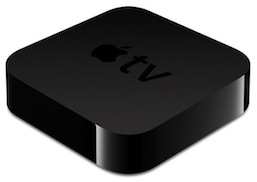 We outfitted the Sanger Room with an Apple TV, a $100 device the size of a hockey puck, and connected it to a large HD display. (The Apple TV could also connect in a handful of our classrooms to projectors with convenient HDMI inputs.) Faculty need only switch to a special Wi-Fi network on their device and turn on AirPlay Mirroring to wirelessly project in Sanger. As of spring semester 2016, there are twenty-five classrooms with Apple TVs. Faculty have asked for more efficient ways than special cables to project from iPads or their own Mac laptops in their classrooms. Faculty would also like to to have their students more quickly show their presentations. Given that this pilot was successful, and that there are a sufficient number of faculty who prefer this method of projection, LTS will equip some future small classrooms less expensively than using ceiling-mounted projectors, a rack of video players, and switchers.